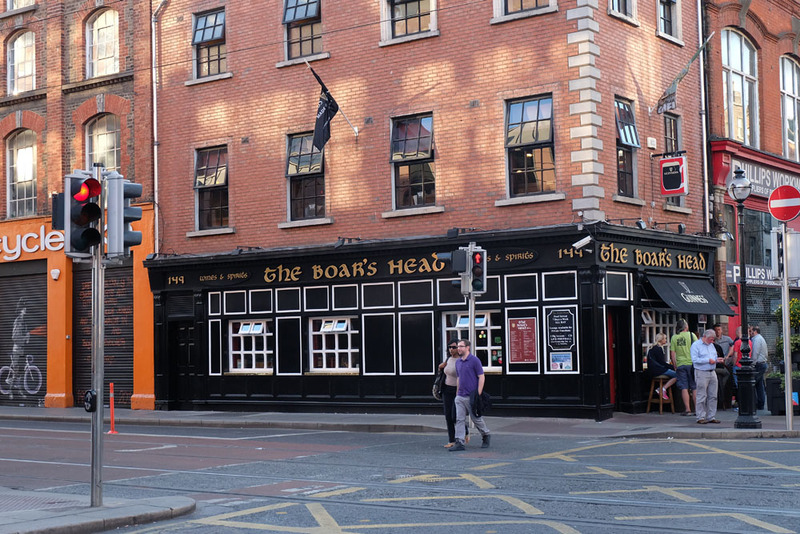 There is rumored to be close to 800 pubs in Dublin and with a culture that is known to like a pint or two, plus be as rich in history as Ireland, a pub crawl is basically a must-do. You obviously don’t need to plan your pub crawl given that you’ll find a pub pretty easily, but having a route planned out can help you reach some of the best pubs in the city. 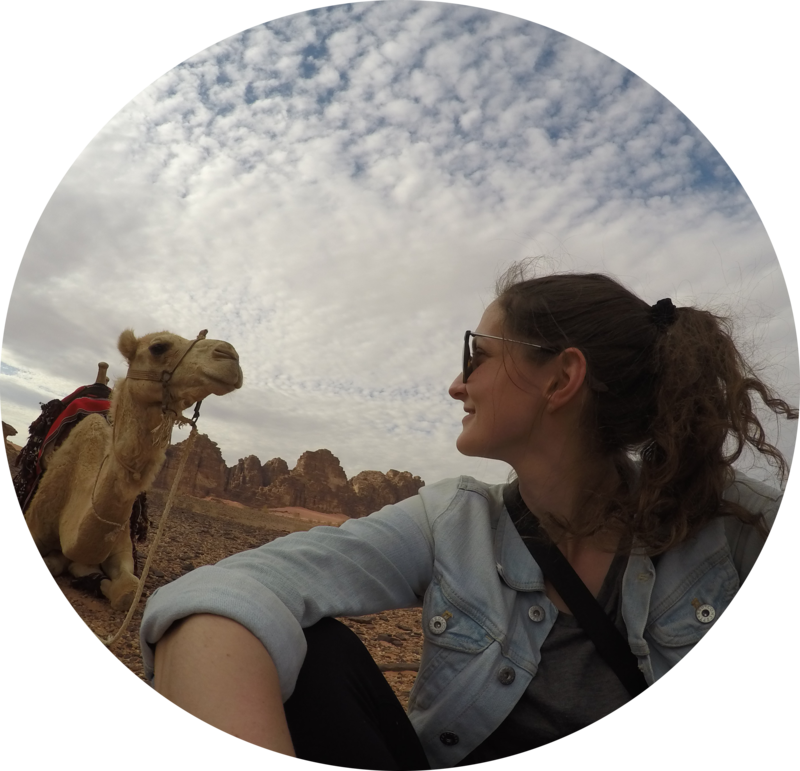 Below are some of my favourite stops I made while in Dublin. Feel free to switch up the order but this is just an easy route I recommend. One thing to note is that bars in Temple Bar district are known to be more expensive at night given that it is a tourist area (think the Las Vegas strip of Dublin) so pub crawling in the day can be a great option. 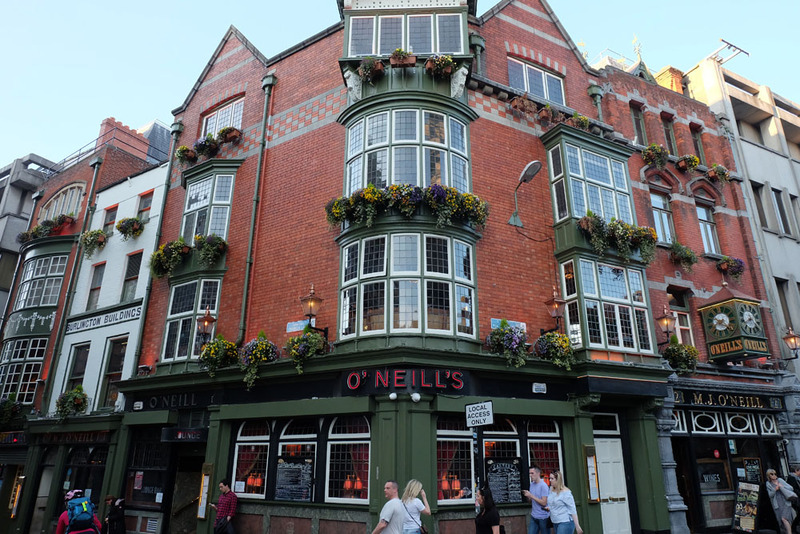 Start your crawl at O’Neil’s which is situated in the historic centre of Ireland. 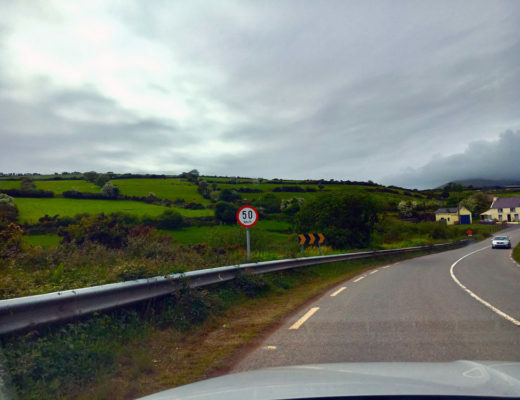 O’Neil’s is the best place to fill up on food from their amazing menu or carvery. You’ll find the best cafeteria-style food here and it’ll blow you away. The portion sizes are also massive so arrive hungry. The pub is also massive so you can spend lots of time here trying their beer collection or exploring all the hidden corners and rooms. Records of this pub date back to 1770 and the pub is known for the preservation of its Victorian interior. 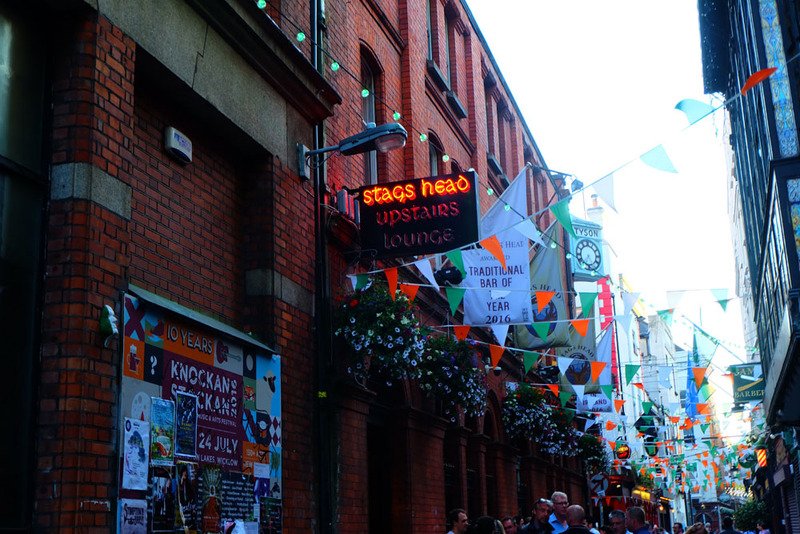 The Stag’s Head is hidden off a narrow passageway on Dame Street and the inside is as authentic as it gets. Mahogany fittings and mosaic marble tiles bring a taste of the Victorian times. Stag’s Head was also awarded Best Pub in Ireland and Best Traditional Pub in 2016. Monday’s are comedy night and Friday and Saturday you can find traditional Irish music at 10pm. This retro and historical looking pub was first licensed in 1766 and is one of Dublin’s most beautiful (and oldest) pubs. Over the years this pub has been a watering hole for politicians, playwrights, musicians and more. Today the Long Hall still maintains much of its old charm and is a must-visit while in Dublin. A relatively new addition to Dublin (1996) Porter House made this list because of it’s unique beer-focused decor combined with its awesome beer selection, including their own homemade beer. 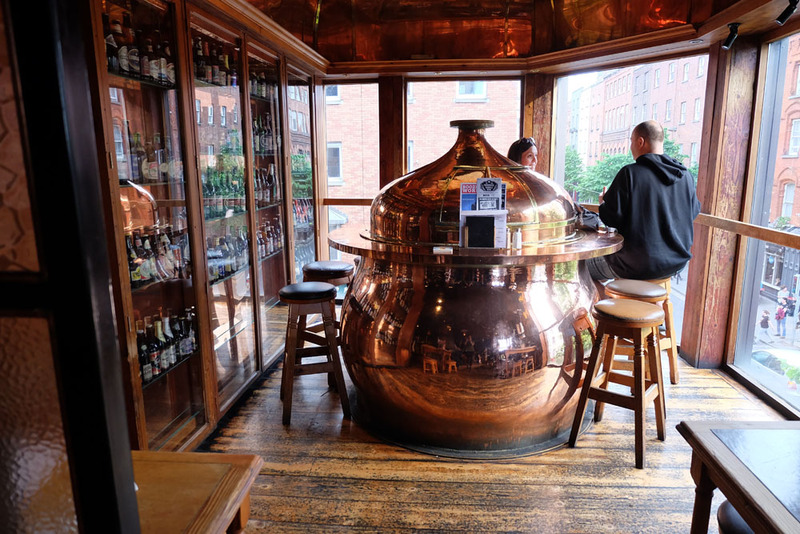 Porter House was Dublin’s first pub brewery. 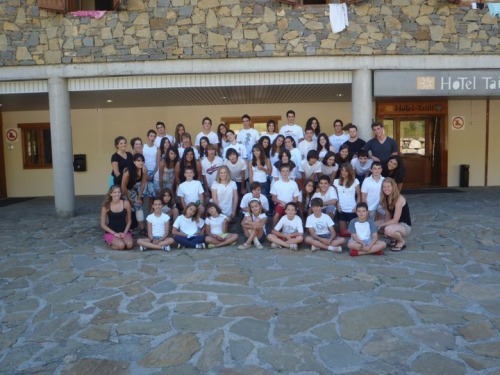 They also host music sessions every night for your enjoyment! 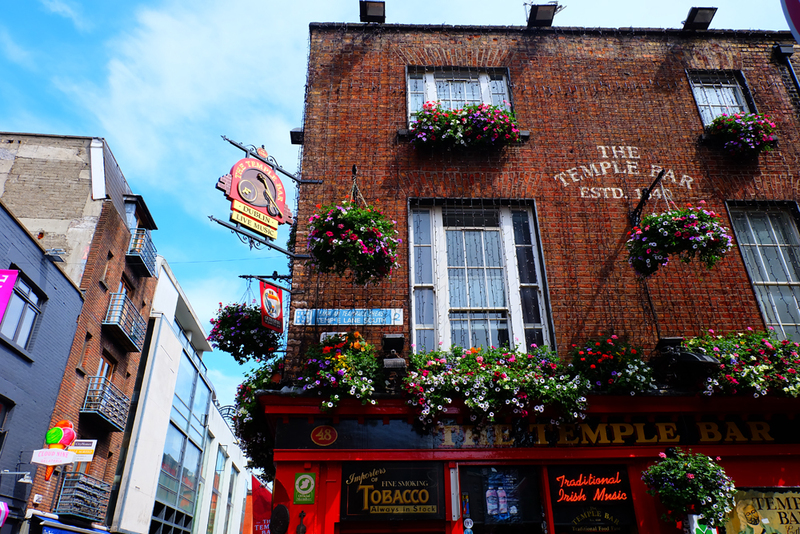 The Temple Bar was one of my favourite bars we visited while in Dublin. Temple Bar is named after Sir William Temple who built his house and gardens on his land on the corner of Temple Lane and a street called Temple Bar. 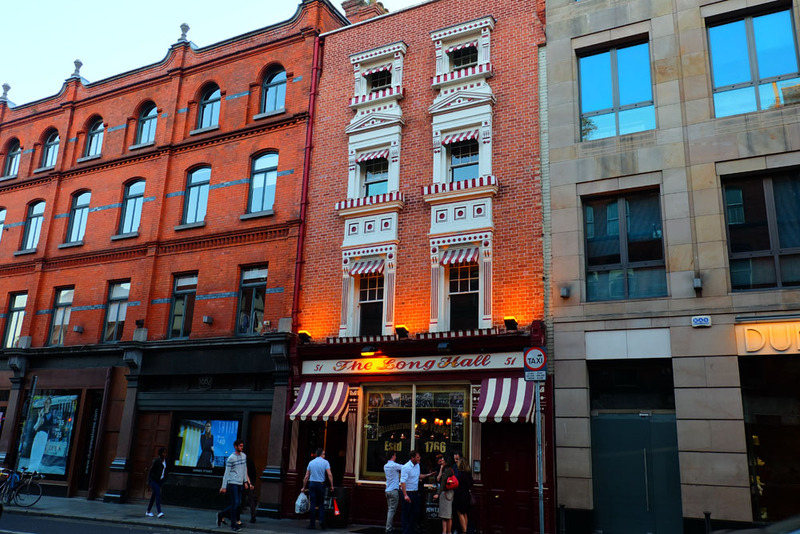 In 1656 William’s son acquired land nearby which allowed them to development what is known as the Temple Bar district that the actual Temple Bar pub sits in. The actual pub has been around for 160 years and is huge, and a lot of fun. 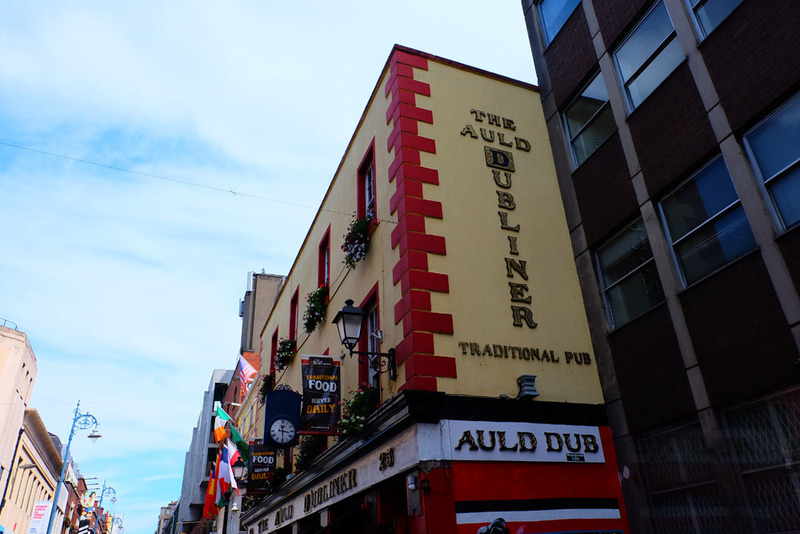 Located right in the middle of Temple Bar sits the Auld Dubliner. Enjoy the live music happening through the day and into the night, their great menu serving traditional pub food, and of course, their cold beer. In the day time you’ll enjoy a relaxing atmosphere here but at night Temple Bar district turns into the place to be for a party. The Boars Head is known for its great food and beer, and their specialty is their Irish stew. Even if you’re stopping by just for a pint, this pub has a traditional feel of an old Irish pub mixed with a Celtic feel. 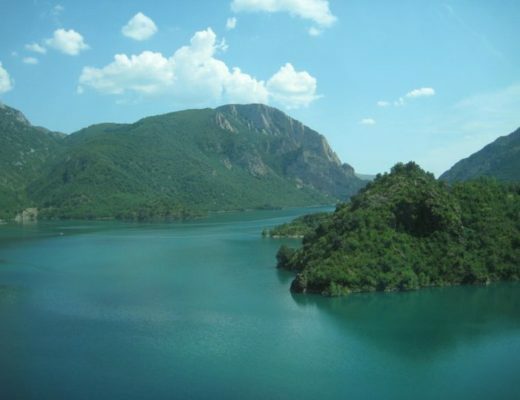 It is incredibly laid back and the perfect place to catch up with friends (new or old). One of the few pubs in the city that have a special license allowing them to sell alcohol starting at 7am which means you may want to do this pub outside of this pub crawl agenda or you may want to start your pub crawl early! 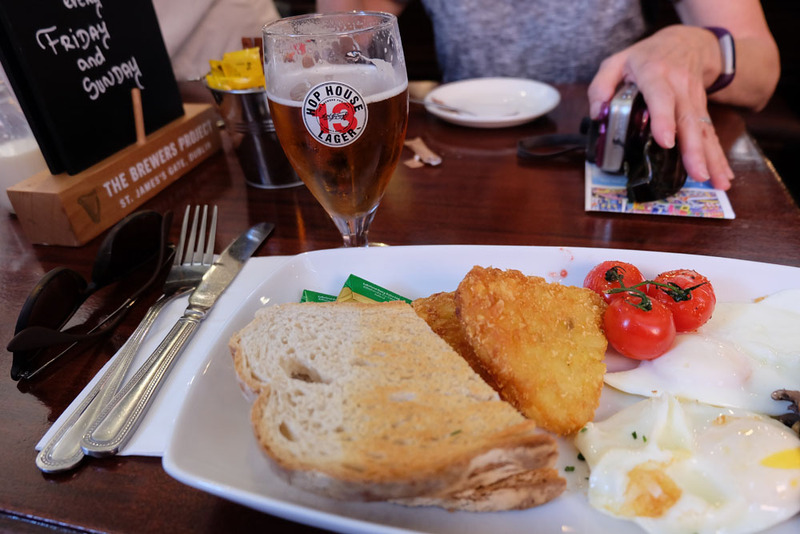 Head into Slatterys for a traditional Irish breakfast with a pint and enjoy the history that lines the walls of this pub. Note that the only day they aren’t open at 7am is Sunday. 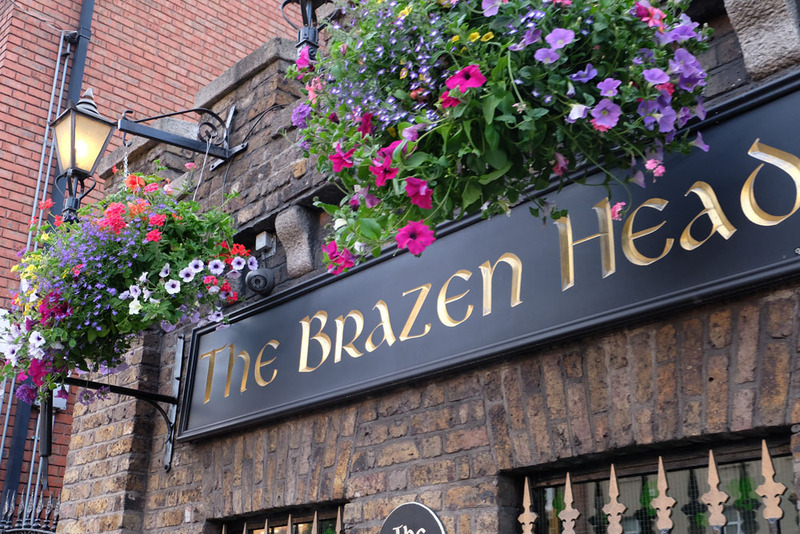 Officially Ireland’s oldest pub as it dates back to 1198, The Brazen Head was one of my favourite stops on our pub crawl in Dublin. This massive pub was filled to the brim with history and people enjoying a cold pint. What’s cool about this pub is most of the original 11th century coach house is still intact and it really boasts a traditional Irish experience. Make sure to head here for their live music every night but their most popular music event is on Sunday’s from 3:30-6:30pm.